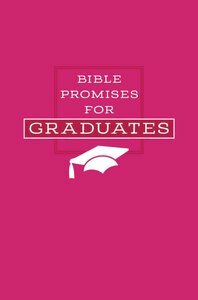 :Bible Promises for Graduates is a topically organized collection of God's promises with 21 inspiring devotions. As you reflect on God's truth, be inspired by his wisdom and encouraged by his faithfulness. About "Bible Promises For Graduates (Pink)"